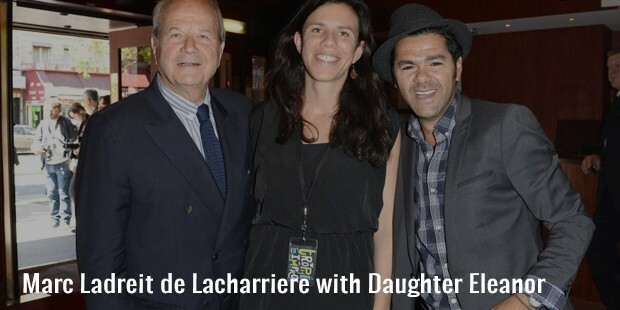 Born on the 6th of November 1940, Marc Ladreit de Lacharriere is a famous and successful French billionaire and an eminent philanthropist. 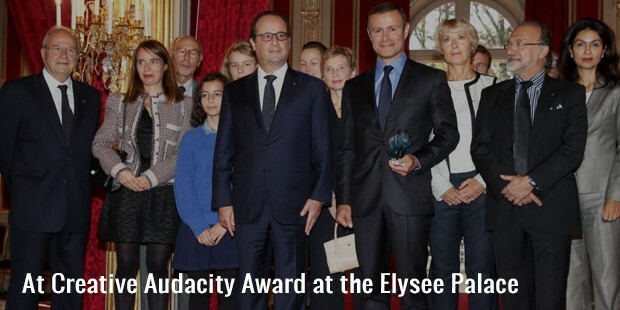 According to Forbes, his net worth is approximately $2.3 billion and he is also the 894th and 24th richest man in the world and France respectively. Marc is currently the CEO of FIMALAC and also a 20 per cent stake owner of Fitch Group. Not much is known about Marc’s childhood, however we do know that he was born in Nice, France and attended the École Nationale d'administration. At the age of 21 this enterprising philanthropist successfully started a magazine for teenagers and sold it off after a couple of years. Following the sale of the magazine, he worked for Suez, Masson and Valeurs Actuelles and after that started working for the world famous L’Oreal group. He worked with L’Oreal for fifteen years and even played the role of CEO for the company for a short while. Following this, Marc took on the role of chairman of Duff & Phelps. Marc owned majority share in the Fitch Group until March 2015, until its divestment to Hearst Corporation. Today Marc is the CEO of FIMALAC a.k.a. 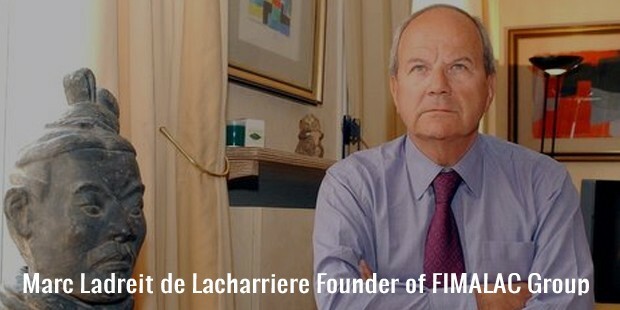 Financière Marc de Lacharrière that he had founded in the year 1991. 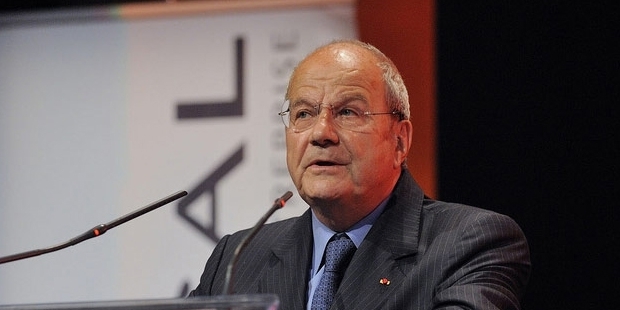 He is also a member of the Board of Directors of Canal Plus, Groupe Casino, L’Oreal, Renault and Cassina. 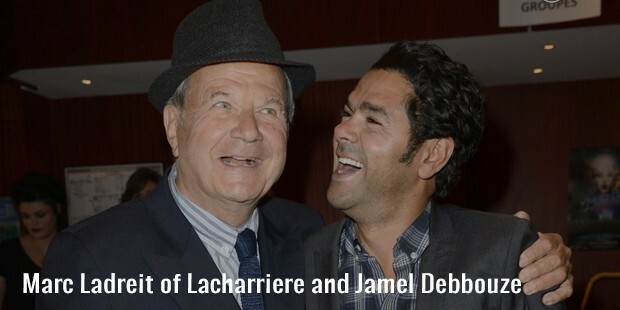 He is a member of the Board of Directors of the American Friends of the Louvre. 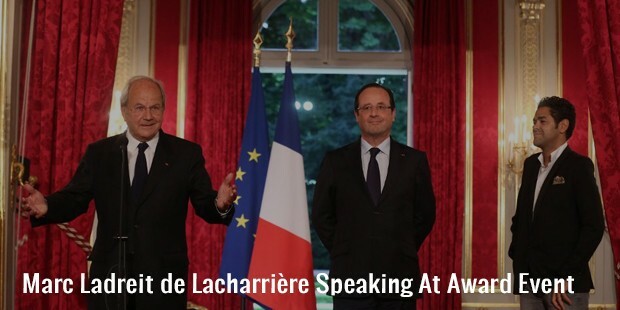 He is also the ex vice president of Fondation Agir Contre l'Exclusion (FACE). Marc and Martine Aubry had co-founded FACE. Marc has financially contributed in the renovation of Théâtre du Rond-Point in Paris. In the year 2006, the Académie des Beaux-Arts elected Marc on their team. UNESCO labeled Marc their Goodwill Ambassador in August 2010. Marc is also the President of the Revue des deux Mondes. At 21 Marc started a teenage magazine and then worked with Suez, Masson and Valeurs Actuelles. Following that he worked with and became CEO of L’Oreal. Marc owned major stake of the Fitch Group until March 2015. 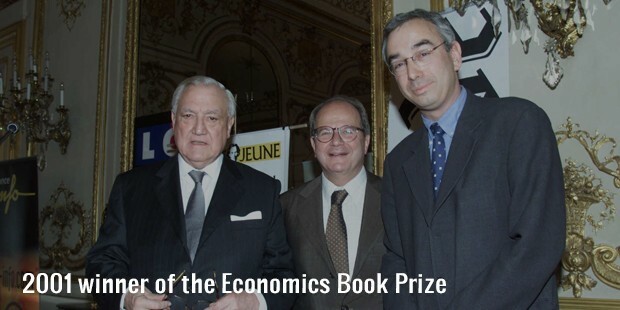 In 1991 Marc founded FIMALAC with the intention of making it an international ratings agency. Today Marc is the CEO of FIMALAC. Though there isn’t much information available about Marc’s personal life, we do know that he is currently divorced and is a father of 4 children. This famous billionaire and philanthropist has provided great financial and moral support to encourage careers in the arts and also has done his bit to help battle social inequality. FIMALAC, which was founded by Marc in the year 1991, acquired Fitch Ratings in the year 1998. UNESCO named Marc their Goodwill Ambassador in August 2010.